In April, Collective Voice was asked to give written evidence to the Justice Select Committee’s Inquiry into the Prison Population 2022. Here are the main points of our submission. The Home Office’s Modern Crime Prevention Strategy (MCPS) identifies drugs and alcohol as two of the six major drivers of crime in our society. For example, 45% of acquisitive crime, other than fraud, is committed by heroin or crack cocaine users. The use of illegal drugs is estimated to cost society £10.7bn a year of which drug-related crime constitutes £6bn. Home Office policy articulated by the MCPS and the 2017 Drug Strategy emphasises the strong evidence showing access to drug treatment to be the most potent response available to government to reduce offences such as burglary and shoplifting. It is estimated that treatment accounts for 30% of the dramatic reduction in acquisitive crime this century. Championed by the Home Office, the police and the probation service, successive governments until 2013 invested in treatment to create a world-class treatment system able to engage and retain offenders at every stage of the criminal justice system. This system had at its heart a comprehensive process of identification and ready access to treatment across the criminal justice system. The Drug Intervention Programme established testing on arrest and deployed drug workers in custody suites, courts, and to facilitate access to treatment on discharge from prison. Integrated Offender Management and Prolific and Priority Offender schemes integrated police, probation and drug treatment staff to provide packages of care and surveillance in the community for the most challenging offenders. Drug Rehabilitation Requirements provided courts with access to treatment-based community sentences accompanied by judicial oversight. The Integrated Drug Treatment System provided evidence-based pathways in prison, offering maintenance- and abstinence-focused treatment. Treatment in prison and in the community was commissioned as a whole system, facilitating continuity of care on release. Crucial to all of the above, local police commanders and local chief officers of probation were influential members, together with the NHS and local authority. The partnerships which commissioned treatment services were accountable to government for the public money invested. However, with pressure on public finances and ministers and police leaders having until recently seen the drug problem as largely solved, investment in drug and alcohol treatment has reduced by 25% in cash terms since 2012/13. The prisons element of this is estimated to have reduced even faster over this period: by about 32%, now amounting to £38m annually. The comprehensive system responsible for reducing crime, improving rates of recovery, controlling the spread of blood borne viruses, and reducing drug-related deaths is now being dismantled, jeopardising each of these societal benefits. The extreme resource constraints in prison and the crisis in probation created by the failure of Transforming Rehabilitation have severely compromised the criminal justice system’s capacity to support drug misusing offenders at every stage of the process. Projecting forward to 2022, the structural and resource issues that persist make the current environment extremely challenging. The cumulative impact of austerity on those with the least capacity to cope presents an escalating challenge, highlighted by growing concern about escalating violence associated with drug markets, the county lines phenomenon, increases in the use of crack cocaine, and recent persistent growth in traditional acquisitive crime. Unless action is taken, the drug treatment system will continue to fragment, causing increasing numbers of vulnerable individuals to cycle between community- and prison-based systems, neither of which can meet their needs. Whilst in prison they will be an expensive problem; whilst in the community they will be a threat to community safety. In transition they are at increased risk of overdose. We already know what a successful system looks like. The response the government advocates in its 2017 Drug Strategy – an integrated, resourced, and seamless service accountable to local agencies working in partnership – mirrors what existed as recently as 2013. It is possible to refashion the system to apply these principles to our current and emerging challenges, but the time to act is now. 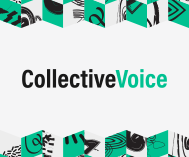 Read Collective Voice’s full submission.